Selling your Ann Arbor area home is a decision that you should not take lightly. There is a lot to consider when putting your home on the market. You want to make sure that you choose the right Ann Arbor Real Estate Experts who will guide you along the way. 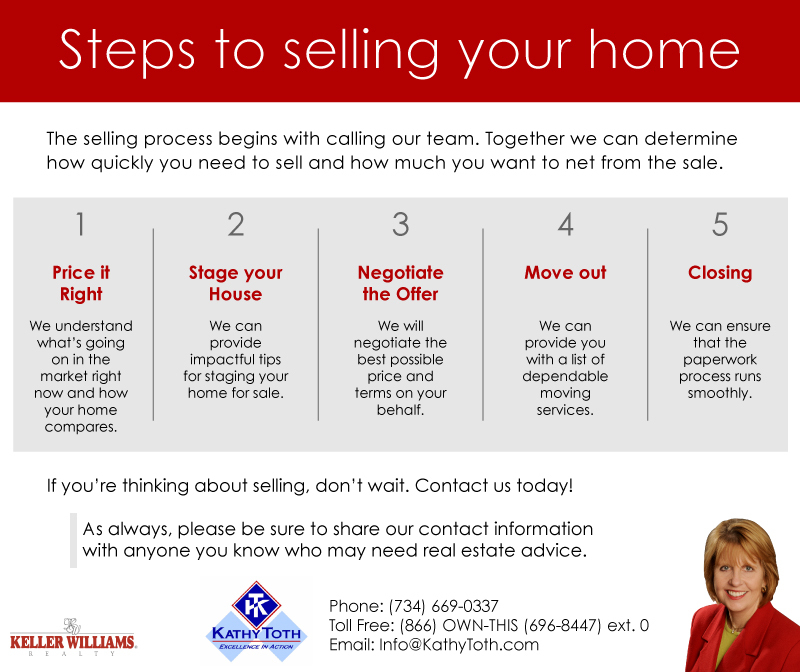 Kathy Toth and Team can help you sell your Ann Arbor area home. From setting the price to unique marketing strategies like pre-marketing your home, we’ve got a proven plan that will match your home with the right buyers for the right price. See what other Ann Arbor Home Sellers have to say about the Ann Arbor Real Estate Experts.